Back In The Gi » Blog Archive » My first time as a grappler. My first time as a grappler. I love karate. I really do. But I have always felt that to be a well-rounded martial artist, you need not only strong striking, kicking, and blocking ability, but also a solid set of throwing and grappling skills. I think it’s also important to have an arsenal of controlling techniques such as holds, locks, and chokes for when eye strikes, throat punches, elbows, and knees would be overkill. 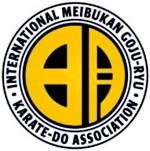 Old-school karate includes plenty of take-downs, locks, and throws (it’s in the bunkai), but it is not emphasized very much in many karate dojos. As a striking art, most karate training emphasizes punches, open hand strikes, blocks, and kicks. These are typically trained using walking basics, kata, and various forms of drills and sparring. Judo and Brazilian Jiu Jitsu are at the exact opposite end of the spectrum, with very little emphasis on kicks and punches and a focus on throws, take-downs, and ground grappling. So, perhaps the most efficient way to gain skills in striking as well as grappling is to study multiple arts, each of which specializes on a different aspect of combat. That is what I have decided to try, as of tonight. That’s right — I had my first Judo class this evening. On the one hand, it was very different from karate classes. The warm up is rolls and breakfalls. There are no solo walking basics, but rather it’s right into working on specific throws with a partner. Then what you might call “walking practice throws” (uchikomi). In this case, you go across the floor performing the technique most of the way but without completing the throw until you reach the other side of the dojo. Then it was sparring (randori) for 3-minute rounds against different partners. Then some ground work before the end of class. Oh, and you don’t do a finishing technique after a throw in Judo. Bad (good?) habit from karate. As different as the techniques and drills are, there are also many similarities. One of the techniques has very similar leg positions to one of the ippon kumite that we do in karate. The breakfalls are very similar to what I have learned in karate as well, such that I could be thrown no problem tonight. Some of the body positions, hip movements, and weight shifts are related as well. And, much to my delight, I found out that rooting in a sort of Sanchin stance is actually a pretty effective defense against throw and sweep attempts. The higher belts in the dojo were very helpful — it seems like another very good group, which I have also been very fortunate to have in my karate dojo. It was a very interesting and stimulating experience, and I am very much looking forward to trying BJJ as well. I intend to continue my training in karate, and I see adding the grappling arts as a great complement to it. I could never give up strikes and kicks, but having an actual ground game as well will be excellent. Always so much to learn!